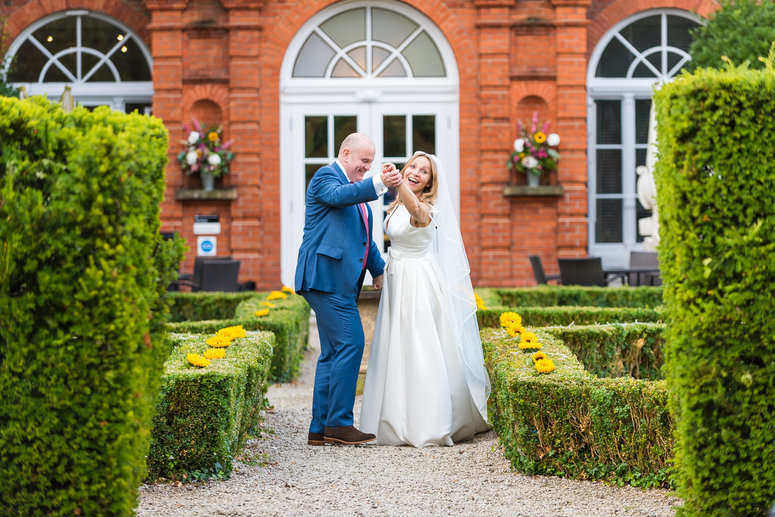 The world famous Shepperton Studios were the location for our lovely couple Deborah and Simon’s wedding! 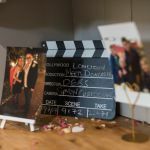 Home to the making of more than 150 feature films including Harry Potter, Bridget Jones, Nottinghill, The Da Vinci Code, The Mummy Returns and Shakespeare in Love to name but a few! 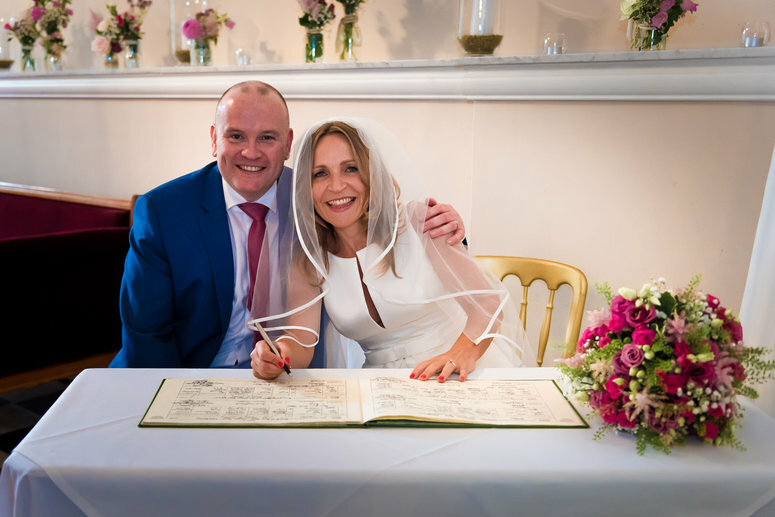 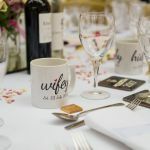 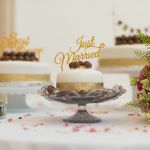 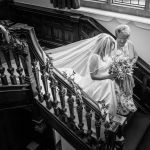 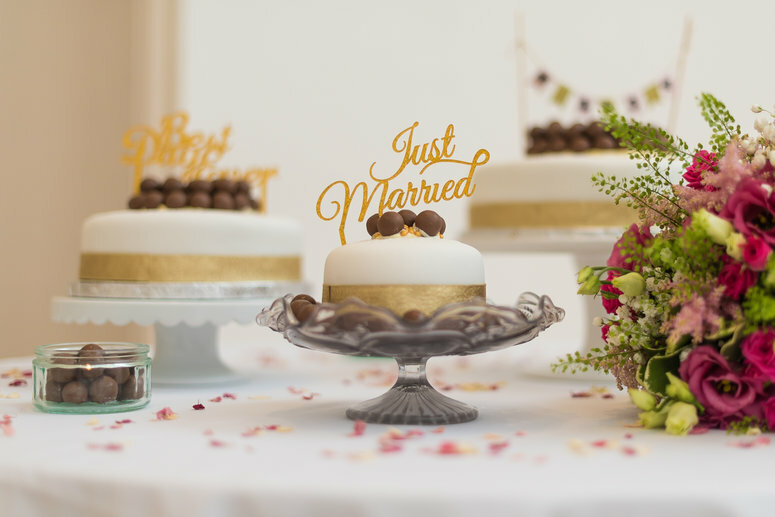 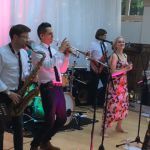 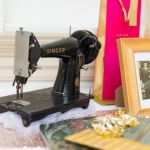 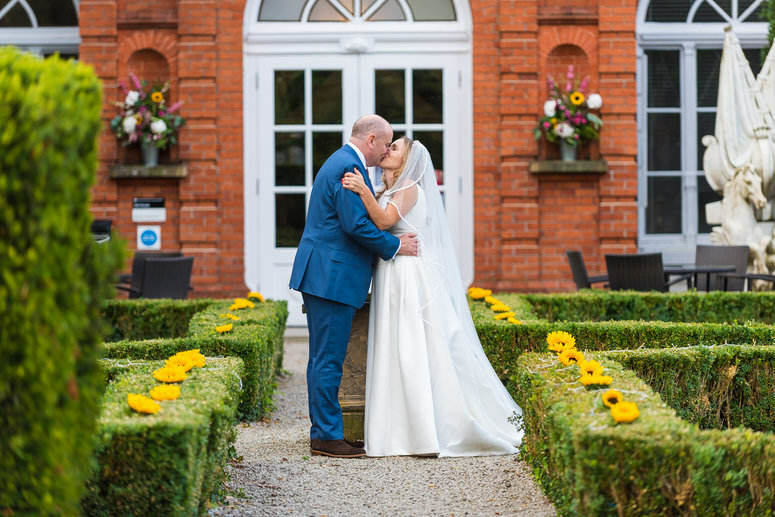 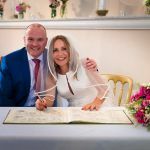 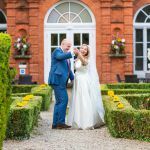 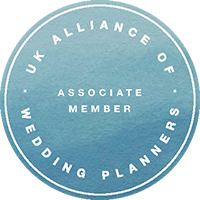 Their marriage ceremony took place in the beautiful old manor house Littleton Park House, which is set deep in the heart of the studio complex and is itself steeped in history, with parts dating back to the 17th Century. 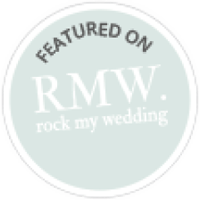 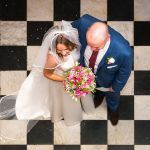 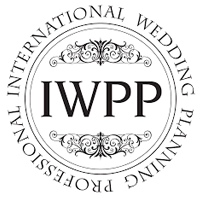 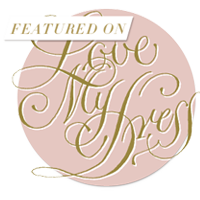 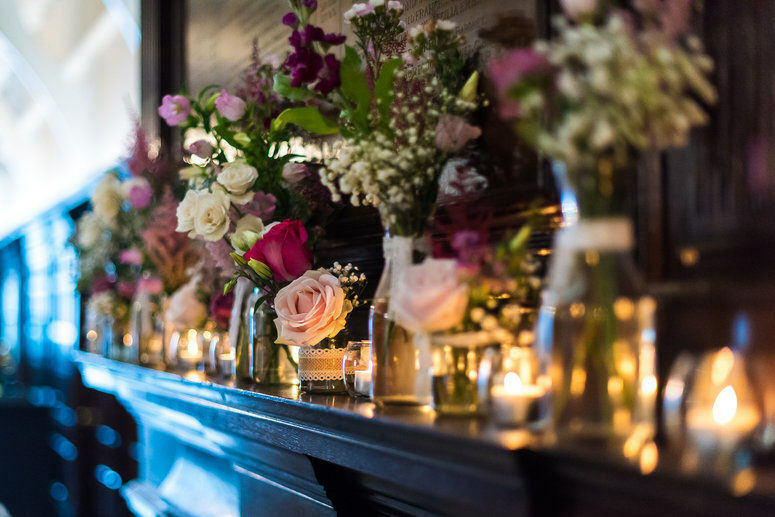 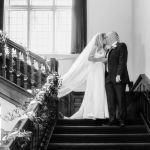 The ceremony took place in the elegant foyer with its impressive black and white marbled floor and ornate original fireplace along with musical accompaniment on the baby grand piano and an amazing vocalist. 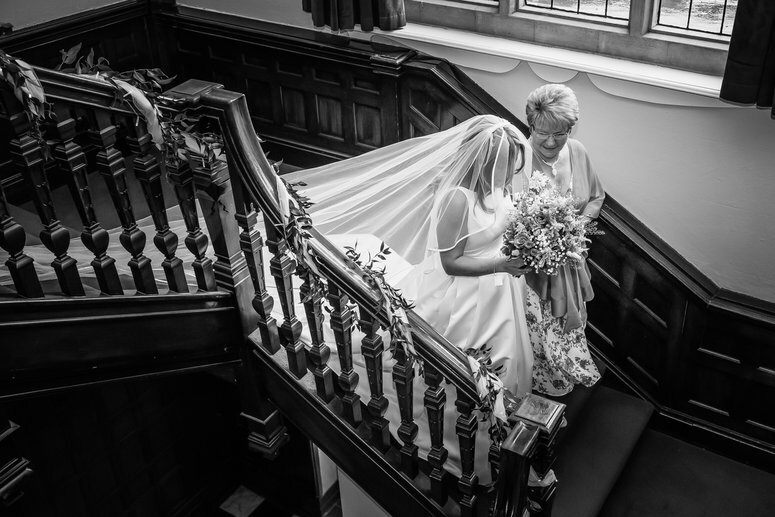 The bride descended down the magnificent old wooden staircase and looked absolutely stunning in her Jesus Peiro gown! 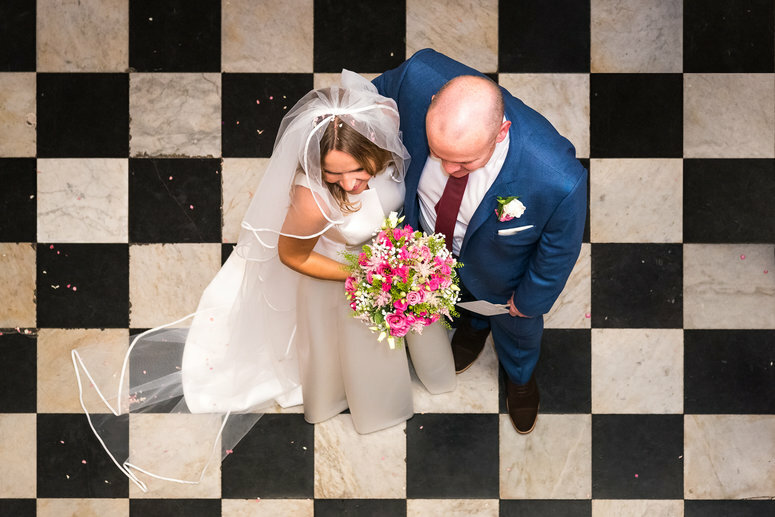 The couple had chosen a palette of peony pinks combined with ivory and blue as worn by the groom (suit, shirt and tie all by Hugo Boss). 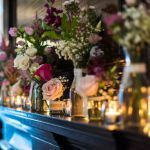 Their flowers designed by Expressit Flowers looked fantastic, consisting of an abundant mix of flowers in jam jars and tealights for the ceremony decor and tall vase centre pieces for the wedding breakfast tables. 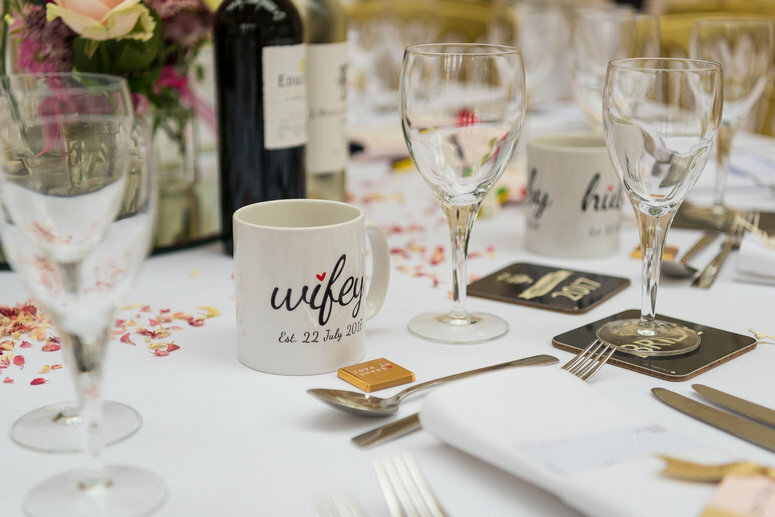 Being keen film buffs themselves and completely befitting of the venue the couple named their tables after some popular, classic films and even designed their own table stationery. 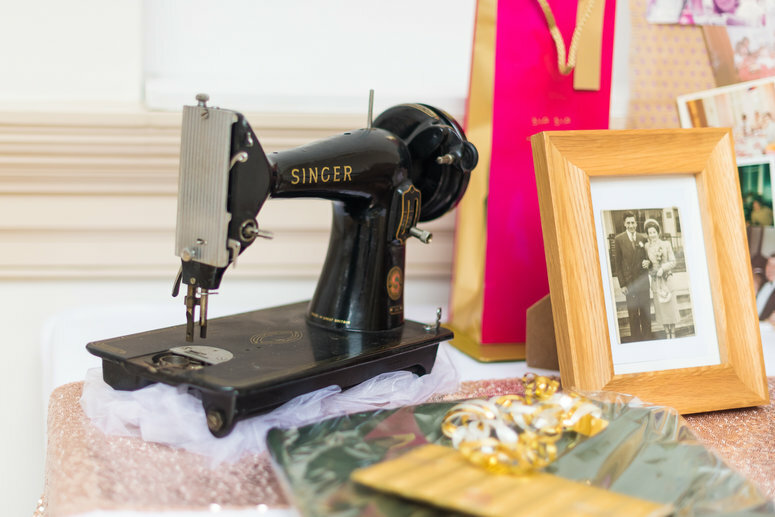 They created a wonderful memory table which included treasured memorabilia from their family members no longer with them today. 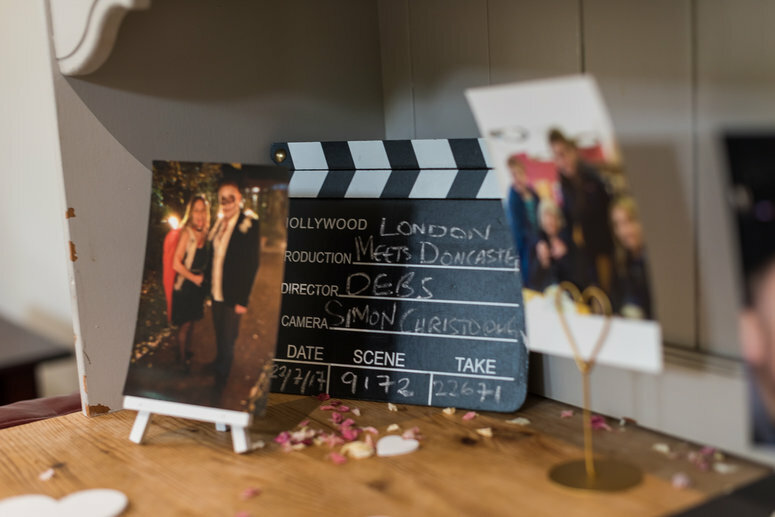 Other decor included mini clapper boards and lots of fun photos of themselves for all to enjoy! 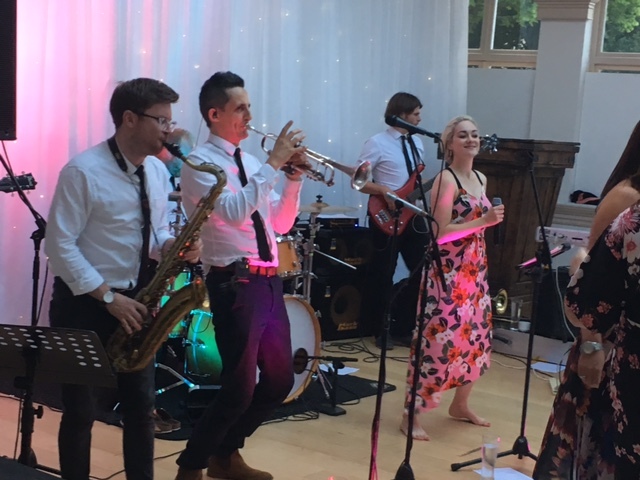 The fabulous team at Genuine Events provided the fine quality cuisine coupled with professional excellent service throughout the day, which all helped to make their day run smoothly. 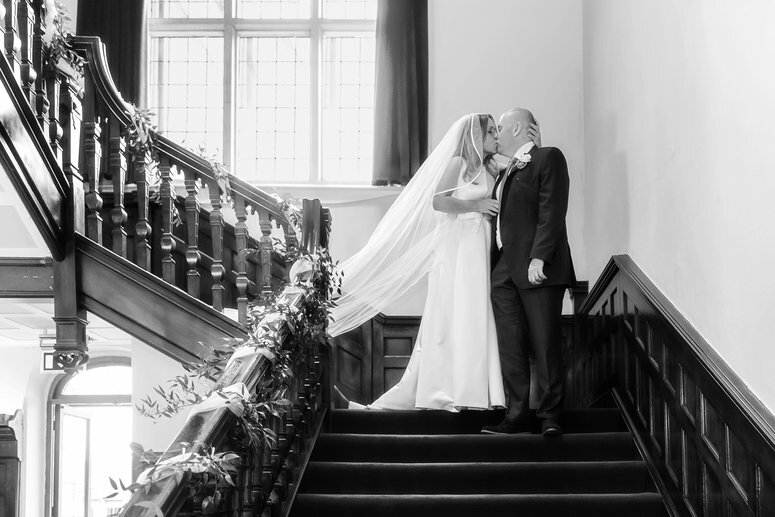 Their entire day was beautifully captured by the excellent photographic team that is Wood Alexander. 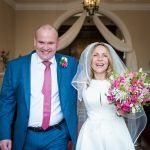 I’m sure you’ll agree they managed to capture the real essence of the day including all the small details that went into making their day such a huge success. 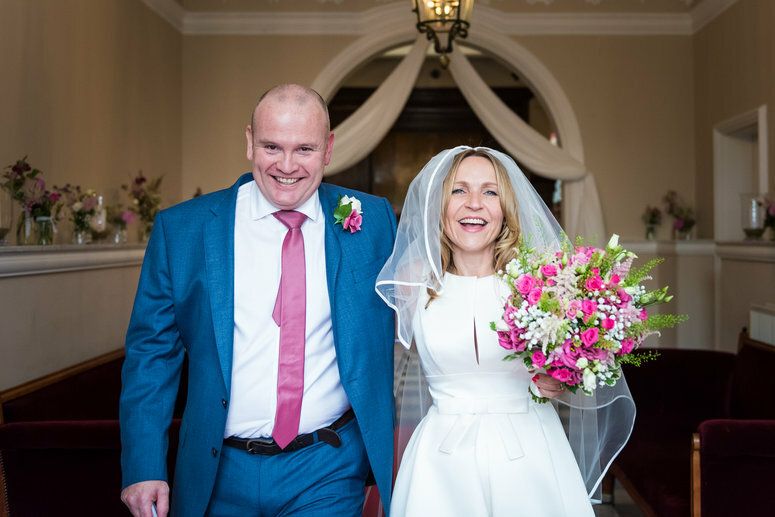 It was an absolute pleasure to assist with Deborah and Simon’s wedding celebrations and I will always look back on their day with the fondest of memories. 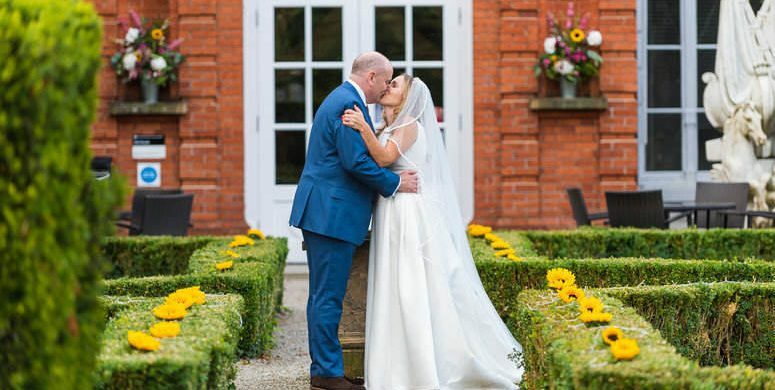 Wishing them much love and happiness for their married life together!